Many business owners are under the impression that SEO is a one-time event. 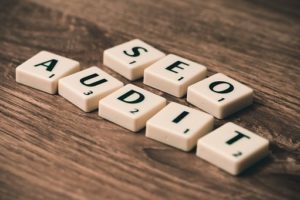 They might hire a SEO expert for a quick audit of their website and then they roll up their sleeves and get back to business, thinking their work is done. If only SEO were that simple. The truth is, SEO is constantly evolving, and business owners need to stay on top of their SEO strategy over time if they want to get meaningful results. Some companies will keep an SEO expert or professional on retainer, while others will try to monitor their SEO campaign themselves. Whatever plan you choose, you can use these tips to refine your SEO strategy over time, helping you continuously drive more traffic to your website and find new customers online. It’s always a good idea to keep tabs on how your chosen keywords are performing. For one reason or another, some search terms tend to fall out of favor with internet users. Some keywords also tend to reach their peak around certain times of the year, making them less effective otherwise. That’s why it’s important to log into your account on the Google AdWords Keyword Planner every month or so to see if your keywords are still popular with internet users. If you notice any changes to your web traffic, some of your search terms might not be as effective as they used to be. When it comes to SEO, content is king. Nothing beats an expertly-written, informative blog post or landing page in terms of attracting new readers and customers online. But coming up with the right content marketing strategy can be tricky for some business owners. Even if a company is generating thoughtful blog posts and articles week to week, their customers might not be interested in this kind of content. If your readership or web traffic starts to taper off, you should try reinventing your content marketing strategy by coming up with new topics for your blog posts, creating new forms of content like videos, graphics and photo galleries, or promoting your content across different channels. If something’s not working, you need to change it. Experiment with different types of content and marketing strategies until you hit the sweet spot. You spend a lot of time and money creating content for your company or website, and you don’t want all that work to be for nothing. There’s no point in slaving away over a blog post if no one is going to read it. Refine your content strategy until your work seems to jive with audiences online. Every company needs a reliable way to measure its web traffic. This will help you unlock all kinds of information about the effectiveness of your SEO strategy. In fact, 42% of B2B marketing professionals state that a lack of quality data is their biggest barrier to lead generation. Having the tools to track your web traffic gives you insight into how or if your website needs to change. You can find out quickly if one of your keywords is underperforming, if one of your blog posts turns out to be a major dud with your readers, or if your PPC campaign is really worth the money. But keeping your finger on web analytics isn’t just about refining your marketing approach; it’s also about keeping tabs on what’s happening at Google. The company is known to change its search algorithm 500 to 600 times a year. 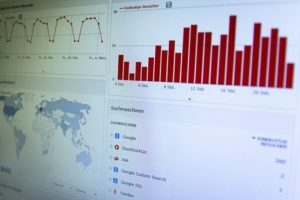 And the slightest change to how the algorithm collects data on websites could throw your entire SEO campaign into the fire, including the way you label your pages and images, the kinds of links you use include in your text, and if there are any other aspects of SEO that your company needs to improve on. Without these numbers, your entire SEO campaign could go off the rails without you realizing it. If something about your incoming traffic drastically changes, there’s a good chance that Google’s shifting algorithm is to blame. Backlinks are a fundamental part of any SEO strategy. Actually, they are one of the top three most important factors for SEO according to Google. But backlinks come and go. Even if you work hard to win over a website and convince the owners to include a link to your website on their website, the owner of that site could change their mind at any moment, bringing your backlink strategy to a halt. If you’re gunning for guest posts that drive more traffic to your website, you probably know that some websites are stingy when it comes to handing out bylines and do-follow links to other websites. That’s why securing backlinks can be so difficult for some companies. Once you have a backlink to your website, you need to secure it by making sure that the host website keeps up its end of the bargain. Again, you’ll need to keep your eyes on your web analytics to see if you’re still generating traffic from these backlinks. If one of your backlinks disappears, you should reach out to the host website immediately to find out why the link went away. Managing your SEO campaign is essential. Otherwise, you could waste a lot of time and energy creating content that’s not popular with your target audience or publishing content that’s not optimized for Google. Google’s algorithm is always a work in progress, and the same goes for your SEO campaign.